Located within the heart of East Kilbride Village is this spacious traditional sandstone conversion. The property is entered via a main door at street level into a welcoming hallway with carpeted stairs leading directly into the large sun room. The sun room offers impressive panoramic views and access into the large sun terrace. From the sun room there is a door into the main hallway, with stairs to upper level, impressive formal lounge, fitted kitchen, modern bathroom with three piece white suite and three bedrooms. 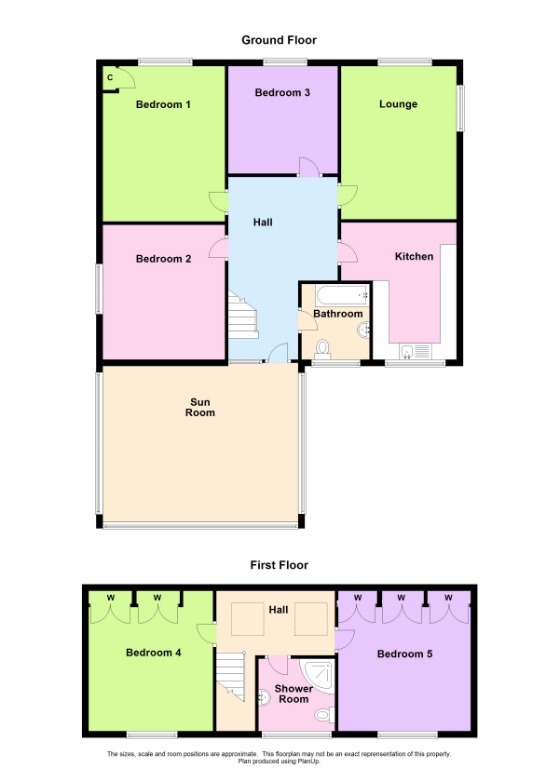 On the upper level is a bright, spacious hallway with two double bedrooms, both with in built storage and modern shower room with white WC, wash hand basin and corner shower cubicle. Further benefits of the property include gas central heating, double glazing and residents’ parking. East Kilbride is a popular town for families and commuters alike, with excellent transport links to M77, M8, M74 motorways and direct train service to Glasgow City Centre, along with shopping centre offering restaurants, bars, ice rink, gym and cinema. The original Village has everything you could need within walking distance: train station, Post Office, shops and schools, which makes an ideal location.